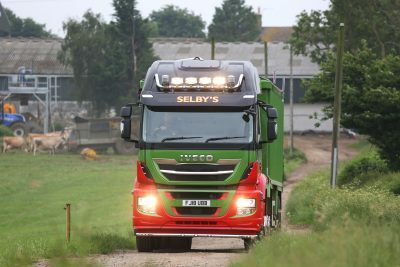 Its arrival sees Selby’s 10-strong fleet become 100 per cent IVECO, joining current Stralis and Trakker models to add a new level of versatility, ideally suited to the company’s needs. The Stralis X-Way combines the fuel-efficiency and safety technologies from IVECO’s on-road trucks with the off-road robustness of its toughest vehicles. In addition to animal feed, the 32-tonne 8×4 tipper (AT340X48Z) with Aliweld bodywork will also be used to transport gravel, sand and stone from quarries to customers around England. 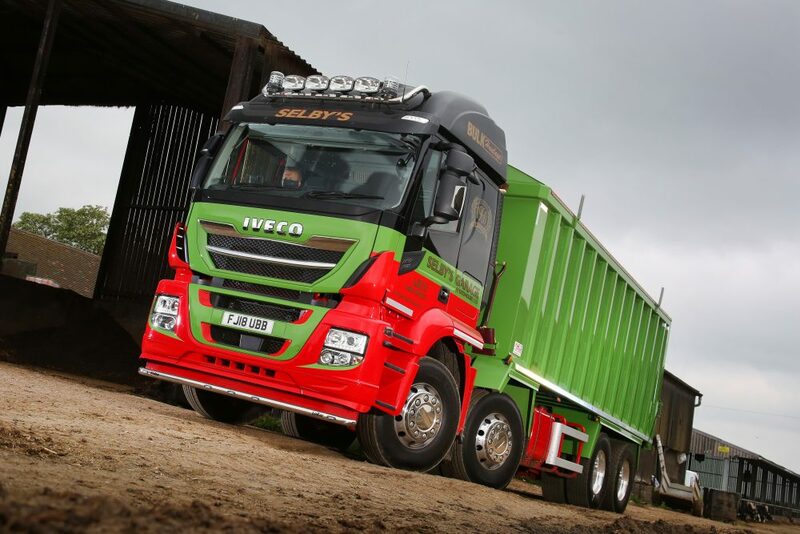 This makes it perfect for duties which will include moving loads to and from farms and quarries, as well as travelling long distances by road. 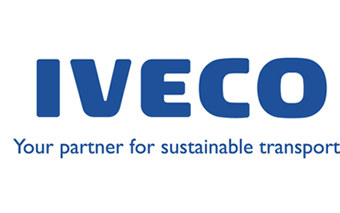 It is here where they will benefit from some of IVECO’s most advanced features, including the new best-in-class Hi-TRONIX 12-speed transmission and the new HI-MUX electrical system, which offers improved reliability and increased data management.